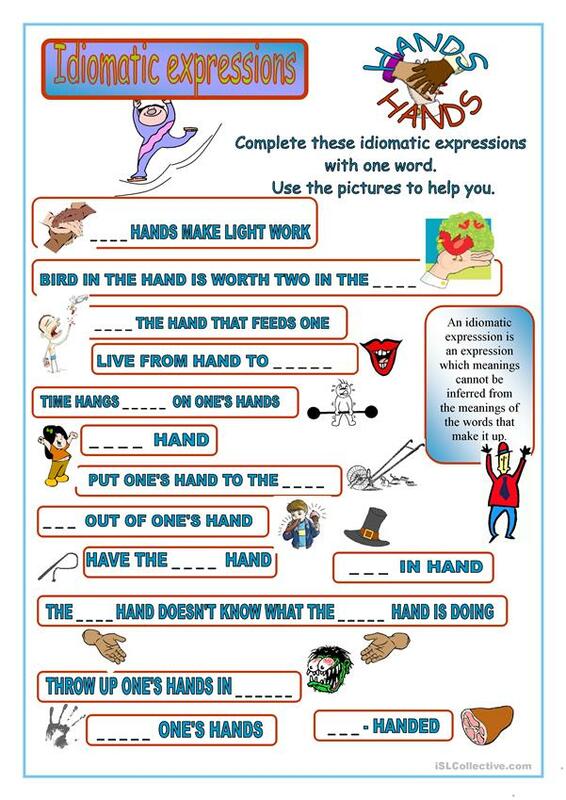 These worksheets include a set of idioms with the word "hand" + illustrations, an activity to match those idioms to their meanings and the teacher´s key. Hope you like it!!! 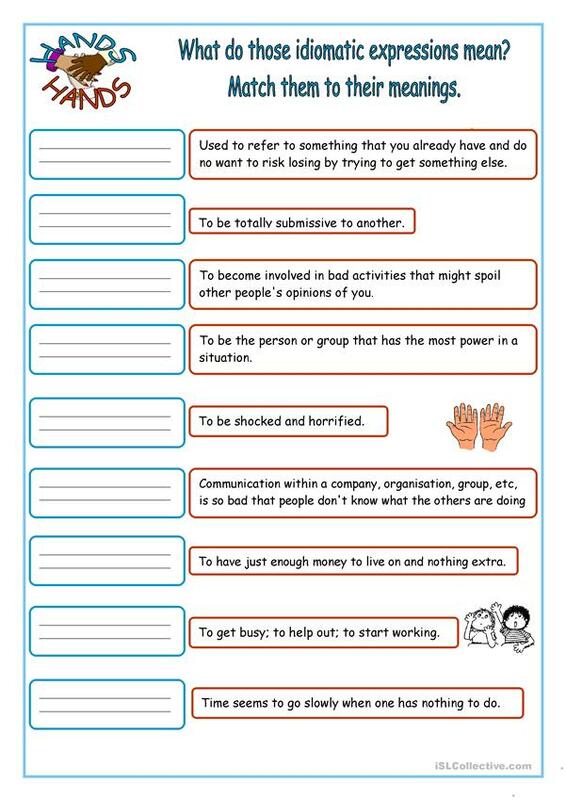 This downloadable teaching material is a great resource for high school students and adults at Pre-intermediate (A2) and Intermediate (B1) level. 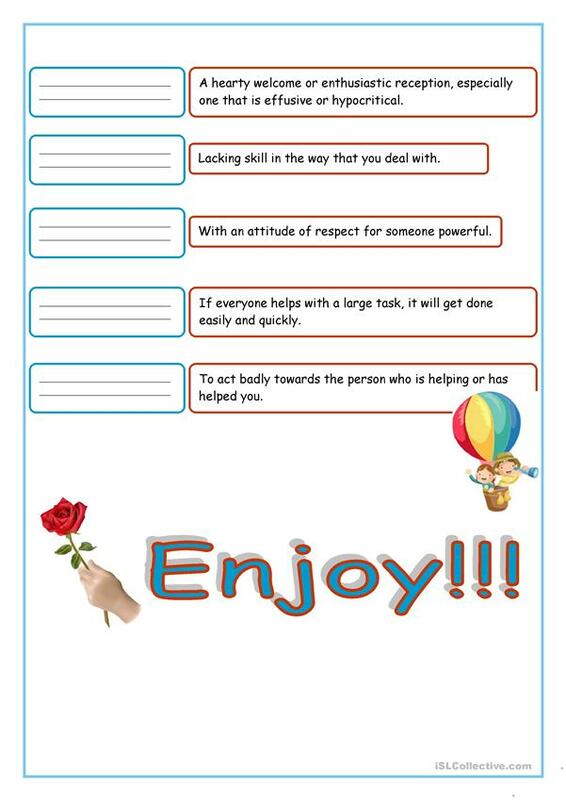 It was designed for enhancing your groups' Writing skills. 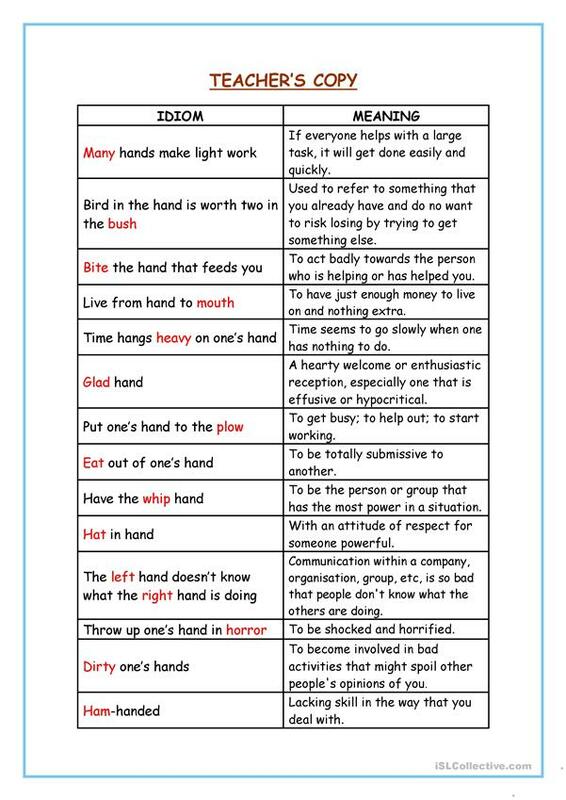 It centers around the theme of Idioms. You will find the solution at the end of the worksheet.